Quotes from Mulan II with Mushu, First Ancestor Fa, and snapshot picture; MUSHU: All right, dead people. We've got work, so move with purpose. I've got an important announcement to make. Hold on to your ectoplasm now. Mulan's getting married. All right. Simmer down. I know just how you feel. But time is wasting. Move. The theme is pink. I want to see pink flowers, ribbons, bows. I'm not talking about salmon. No blush. I mean pink as a freshly-slapped newborn's behind. PRUNEHILDA: How about a pink slip? MUSHU: Excuse me? Nobody wants to see your drawers, Prunehilda. FIRST ANCESTOR FA: Actually, she meant this. 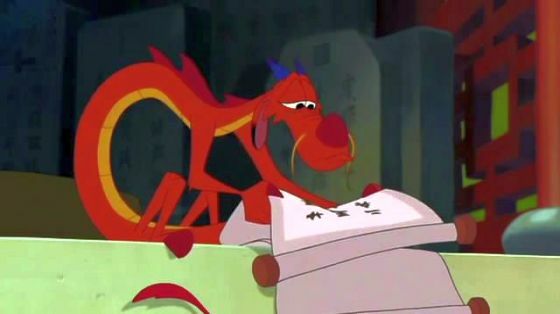 MUSHU: Hey, this looks like a for-real pink slip. You know, like a "you're fired" pink slip. ANCESTOR #1: Oh, it is. MUSHU: Say what? ANCESTOR #2: The pink slip is for you. FIRST ANCESTOR FA: It is written, once a woman marries, her husband's ancestors take over the duty of guardianship. MUSHU: No. Your scroll must have a typo. That can't be. ANCESTOR #1: But it is. You're out of a job. ANCESTOR #3: Out of a pedestal. ANCESTOR #4: And out of our hair, fool. MUSHU: No, no. I ain't going out like this. It took me 500 years to get this pedestal back, and I ain't about to give it up. FIRST ANCESTOR FA: Hear me, you lazy lounge lizard. 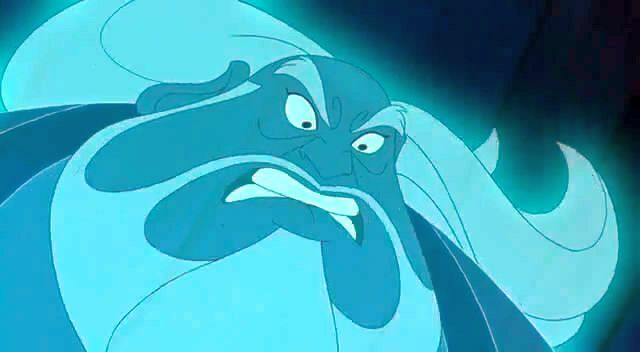 The moment Fa Mulan is married, you've got your old job back. Remember gong duty? Perhaps this will ring a bell. 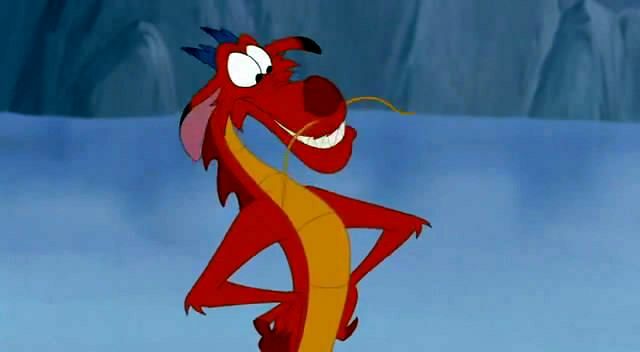 ALL ANCESTOR: Mushu's on his way out... MUSHU: What am I gonna do?